Step 1: LIKE Nin Jiom Malaysia's (Cap Ibu Dan Anak - Nin Jiom Malaysia) official Facebook page. Step 2: BUY Nin Jiom Herbal Candy (tin or sachet) from any Guardian pharmacy outlet and keep your receipt as proof of purchase. Receipts must be dated within the Contest Period. Step 3: EXPRESS how you feel about Nin Jiom by forming a word using Nin Jiom Herbal Candy. Then take a picture of it. Step 4: UPLOAD your photo in the comments section of the contest posts. Step 5: STAY TUNED for the winner's announcement on Nin Jiom Malaysia’s Facebook page to see if you have won. 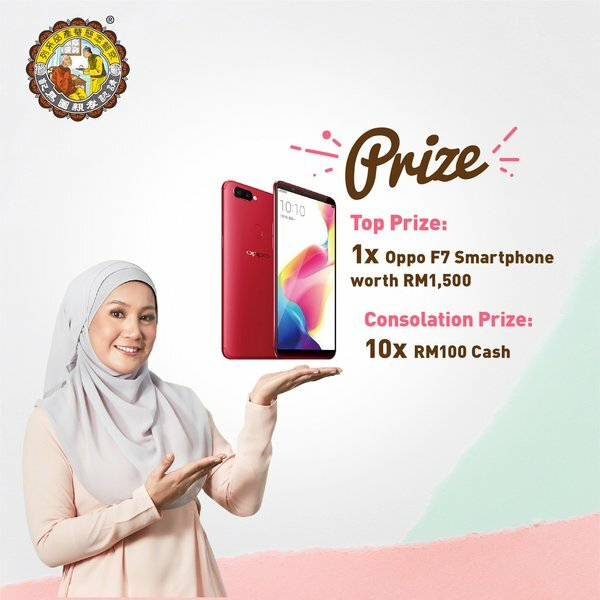 Winners will be announced on Nin Jiom Malaysia's (Cap Ibu Dan Anak - Nin Jiom Malaysia) Facebook page TWO  weeks after the end of each contest week.